Rio Roller Pure white Pink - the quad roller skates for girls in colors white and pink. With 4x 58mm x 32mm / 82A wheels and ABEC 7 bearings. 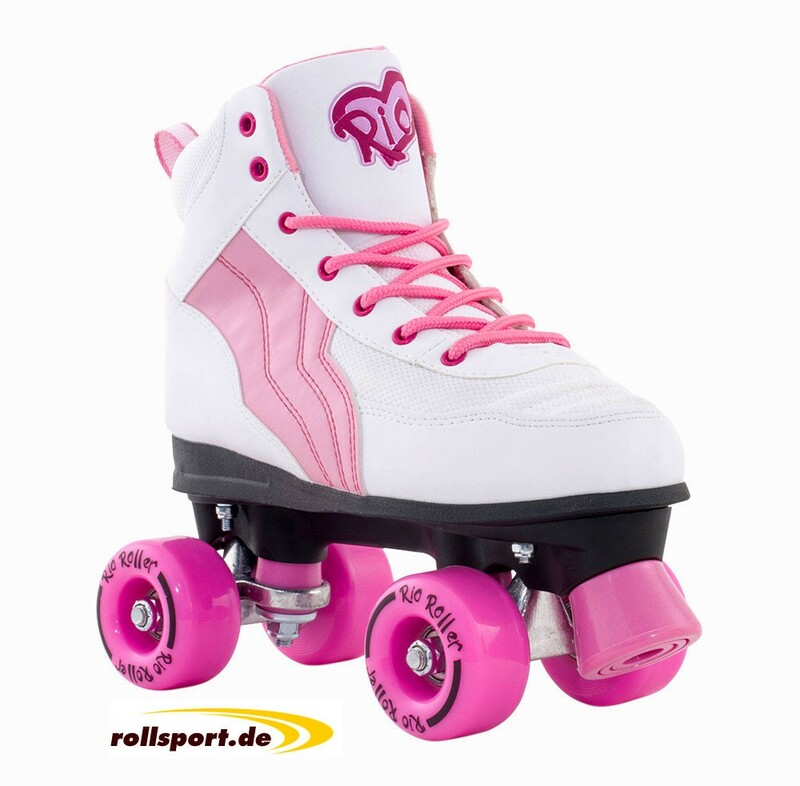 The Rio Roller Quads Skates in colors white and pink. Perfect colors for girls. 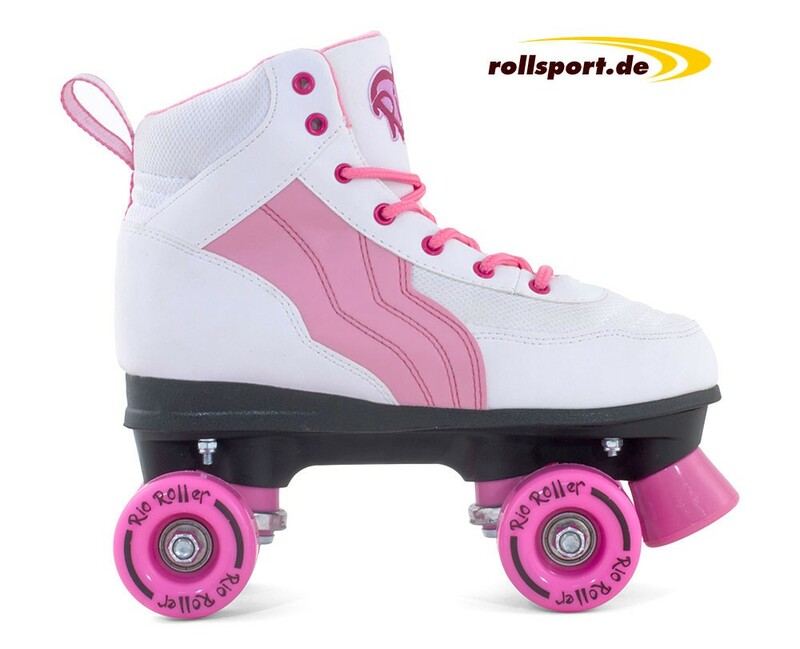 These Rio roller skates look good color, and give your feet all the support They need. 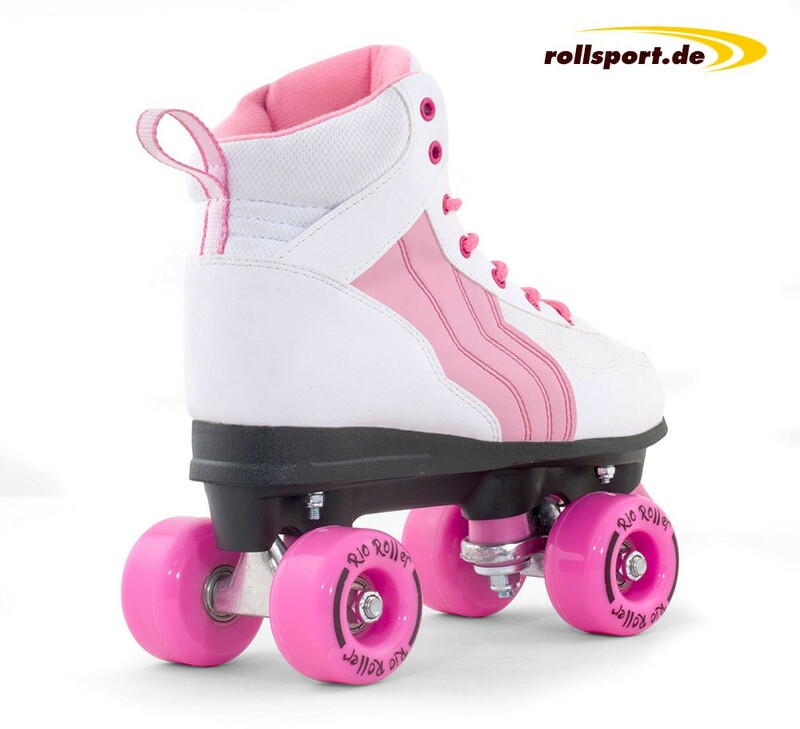 Perfect Retro roller skates for roller skating disco or the skate park. High quality heel support and anatomically insoles for extra cushioning. PU casting stopper, easily replaceable.